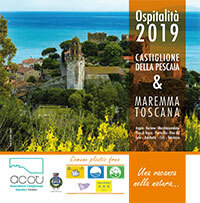 ACOT is the Castiglione della Pescaia Tourist Operators Association and since 40 years gathers most of tourists facilities in Castiglione della Pescaia municipal area. Beautiful beaches, unpolluted sea, pinewoods, Mediterranean maquis, enchanting villages, a spectacular wetland area, Etruscan archaeological sites and museums are waiting for you together with the possibility to taste the gastronomic specialties, to visit famous wine cellars and to practice open air sports. 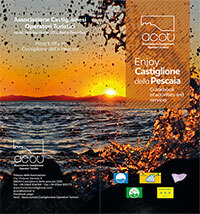 Since many years we are awarded for the sea water quality and territory environmental protection. 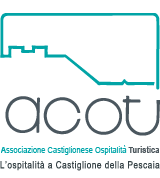 Thanks to the municipal administration commitment and the work of tourist operators in 2017 Legambiente and Touring club officially acknowledged our Municipality as the leader Municipality of the MAREMMA TOSCANA tourist district. Our Association had the pleasure to organize the hospitality side for many sports events on the occasion of the “European Sport Days”, including PARA-CYCLING ROAD “UCI WORLD CUP” (Paralympic World Championship), BEACH TENNIS NATIONAL CHAMPIONSHIP, INTERNATIONAL DRAUGHTS TOURNAMENT, THE 6th LAP of GIRO D’ITALIA and the FORENSIC ITALIAN CYCLING CHAMPIOSHIP. Surfing our website you will find the list of hotels, holidays houses (CAV), tourist accommodation residences (RTA), Bed and Breakfast (B&B) and many other information about our territory to fully enjoy your “nature holidays”.